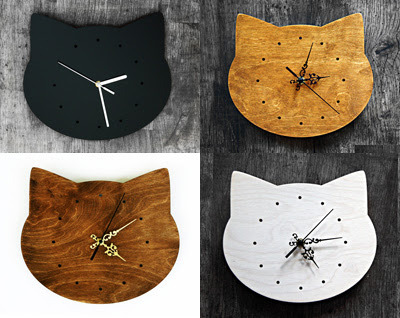 Catsparella: Purrfidious Cat Clock Giveaway! 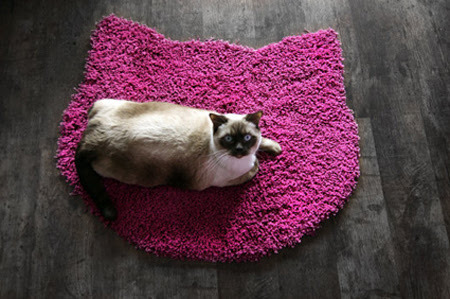 I recently became obsessed with Purrfidious Etsy shop, thanks to its chic array of accessories and decor with the modern cat lover in mind. 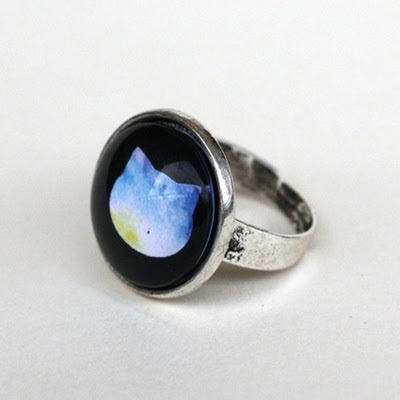 Purrfidious is the brain child of Marta, a feline fancier from Poland who was inspired by her love of all things cat to create a line of goods that won't just sit on your shelf and gather dust. 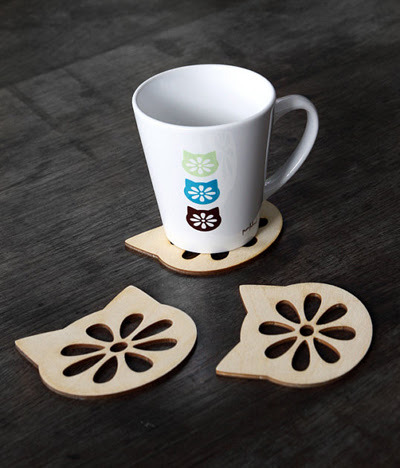 She uses various materials to create her designs, which include clocks and coasters, stylish jewelry, mugs, rugs, and more. I always wanted to have a cat. 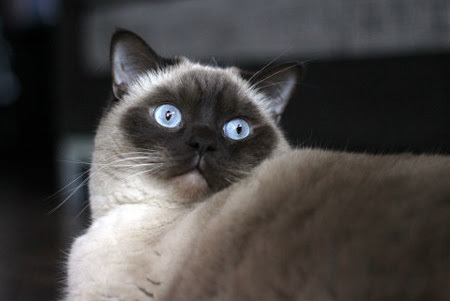 When I was a child, I saw a Sheba ad in a magazine that we got from friends from Western Germany. We still had communism in Poland at that time, and everything that came from the Western world seemed to be so colorful and perfect, including the blue British Shorthair cat from the ad. 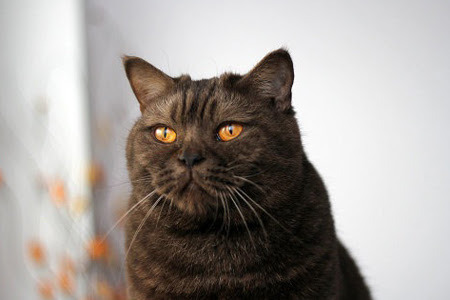 When I grew up and moved into my own house with my boyfriend, my dream came true when we got our first cat, a chocolate colored British Shorthair named Ozzy. After a few months, we brought him a blue-eyed friend named Iggy. Iggy loves the camera, and that's why he attends all photo shoots, and I call him my marketing manager. He seriously could sell anything! Marta has generously offered one lucky Catsparella reader the chance to win their choice of a wood or acrylic cat clock from the Purrfidious Etsy shop! Choose from the following colors: Black or white acrylic, or pine, walnut, or bleached pine colored wood. To enter, leave a comment on this post with your name, and some way for me to contact you if you win (email, link back to your blog or profile, Twitter, etc.) The winner be will chosen in a random drawing next Tuesday, January 15 at 5:00PM EST. 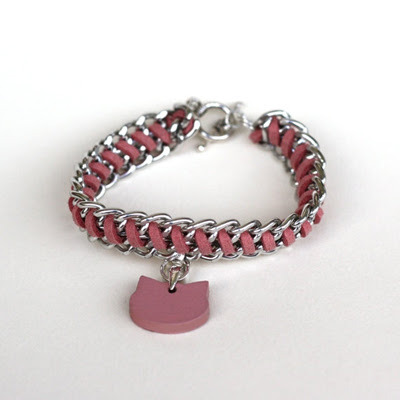 This giveaway is open to everyone, so our international friends can participate, too! One entry per person, please. Good luck, and be sure to check out Purrfidious for even more magical merch!